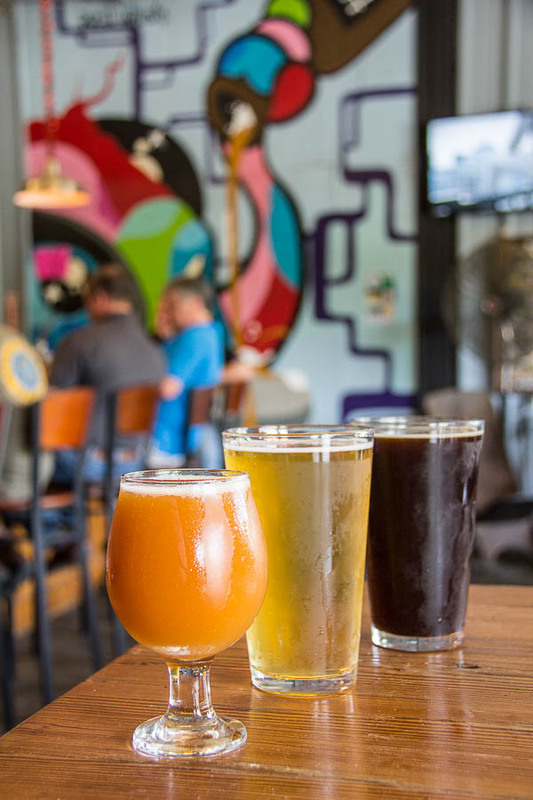 We know just where to go for the best craft beer line up in Charleston! Locally Made, Inspired By The History Of The City and Pretty Damn Delicious! 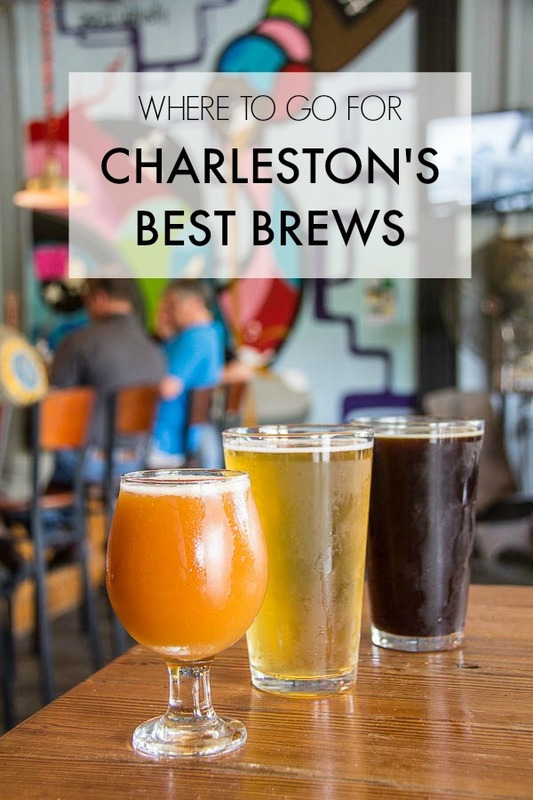 Our pick for the Best Brewery In Charleston. Isn’t Charleston the best? I hear all of you shouting “YES”!!! I love, love, love this city! (This door is AMAZING!) The history and southern architecture are stunning, food is incredible (find out where to eat here), people are dressed to the nines, and there’s so much to do! Such as enjoying a beer tasting at a local favorite brew spot. Yep, I’m looking for the Best Brewery In Charleston and I found it. 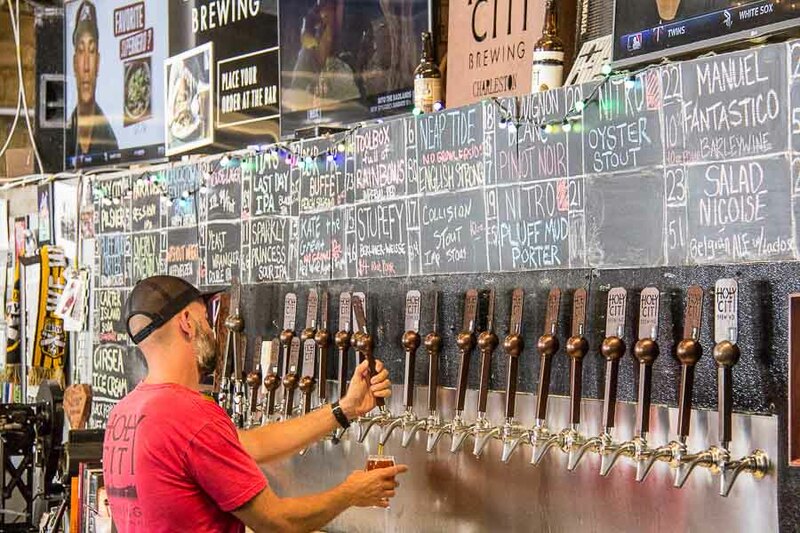 Holy City Brewing in Charleston is where all the locals and smarty pants travelers like us go for a full line up of Charleston’s Best Brews. The fabulous chicks (or lovely ladies) of my hubby’s family gather once a year on the ultimate Girls Trip. We call it the Landefeld Ladies Weekend. The women range from 13 (my daughter) to 60+ (Aunts) and everything in between. The past two years have been here in Atlanta. We had to do Atlanta twice because the first trip was an utter rain out disaster and we desperately needed a Do-Over! Remember the fun we had on this bike trip? Perfect way to explore and who can forget all that amazing street art? My love affair for great street art will never die. LOVE, LOVE, LOVE (just look at this girl’s face, gorgeous). I was the first to hit town and made good use of a few extra hours. Is it luck or just good planning? Both probably! Only good luck ever gets me out the door when I actually plan to leave on a girls’ trip! Do you remember our visit to the most unique brewery in Asheville. Couldn’t get more funky, right? Today I’m sharing my first stop on a killer trip to Charleston. What better way to begin a vacation than a stop at the best brewery in Charleston? 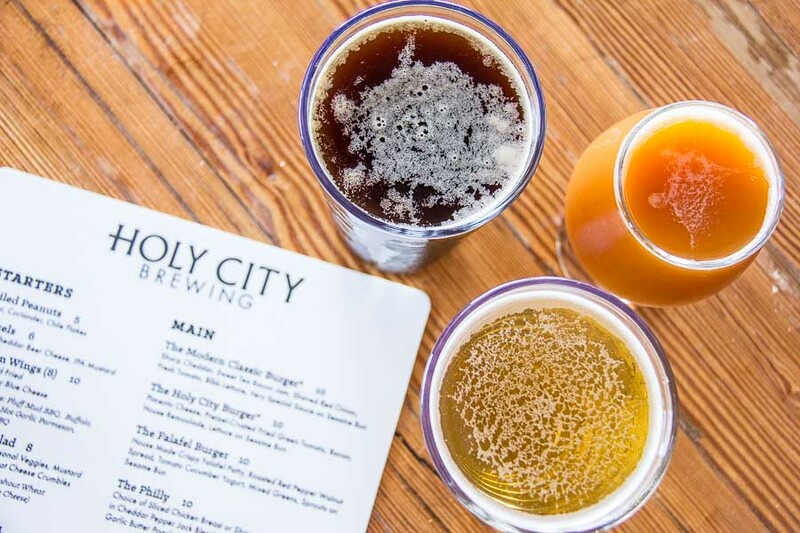 Holy City Brewing. HCB has a full line up of 25 killer and creative craft beers all made onsite. YEP! Twenty-Five gorgeous and creative beers made in house! 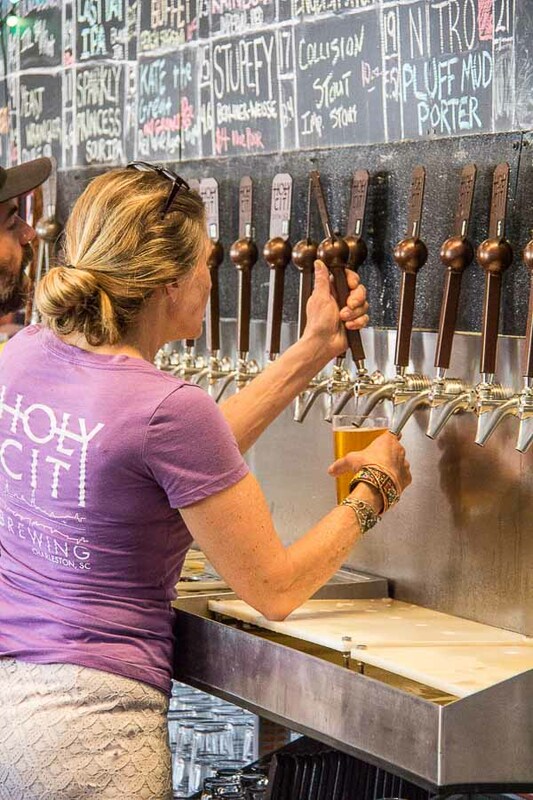 Plus every few months or so, the Holy City Brewing guys head out to brew at other local brewers who run smaller craft brews. They then bring those beer masterpieces back to HCB and get them on the tap bar. There’s something here for everyone and all of it is delicious! 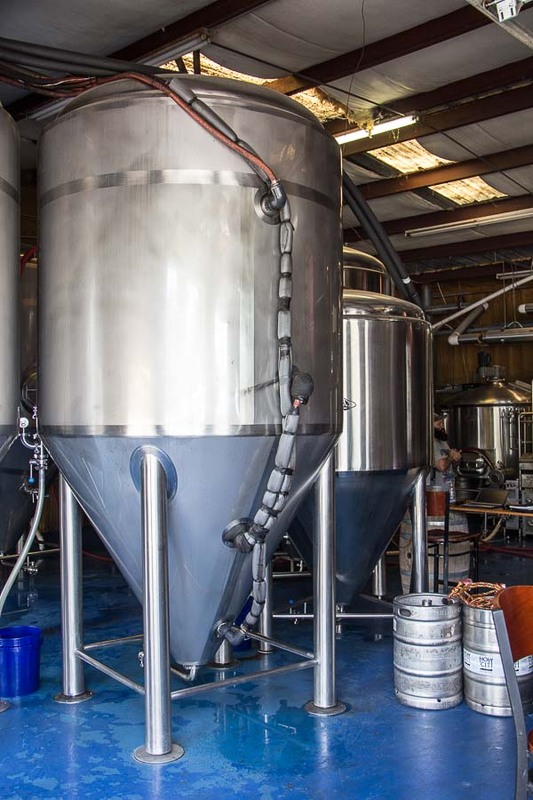 Making HCB our pick for the best brewery in Charleston. 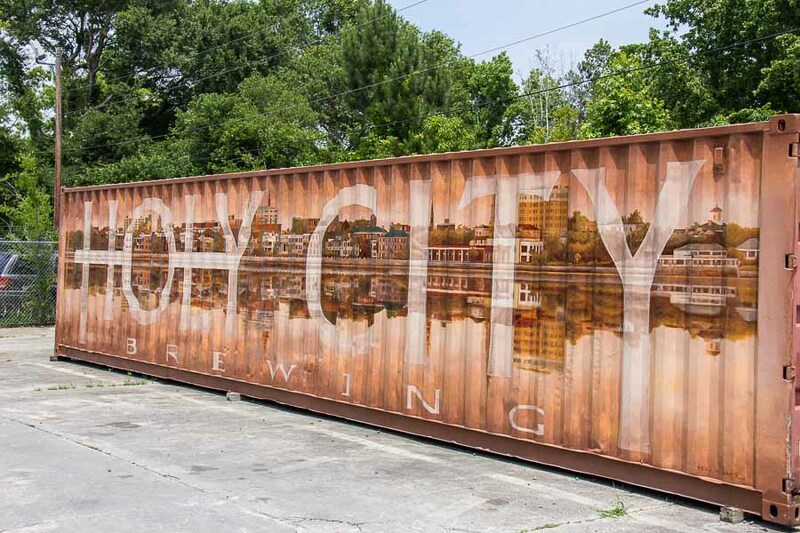 Started by two successful rickshaw fellas with a bit of extra time on their hands during the slow season colder winter months, Holy City Brewing began with home brewing in their garage out of a custom system made of what rickshaw guys have handy… old bicycle parts! Let that image settle in your head. It puts a smile on my face! Talk about creative. 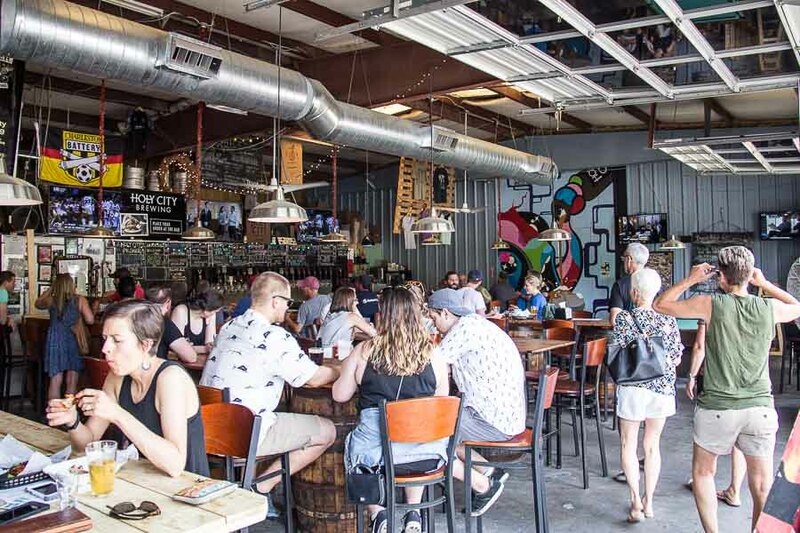 When their brews got too big and delicious for their own britches, the guys brought in two more fellas into the mix that would enable them to grow into the space they have now and join the newly approved Charleston higher ABV beer market. 15 barrel system strong, the best brewery in Charleston was born. 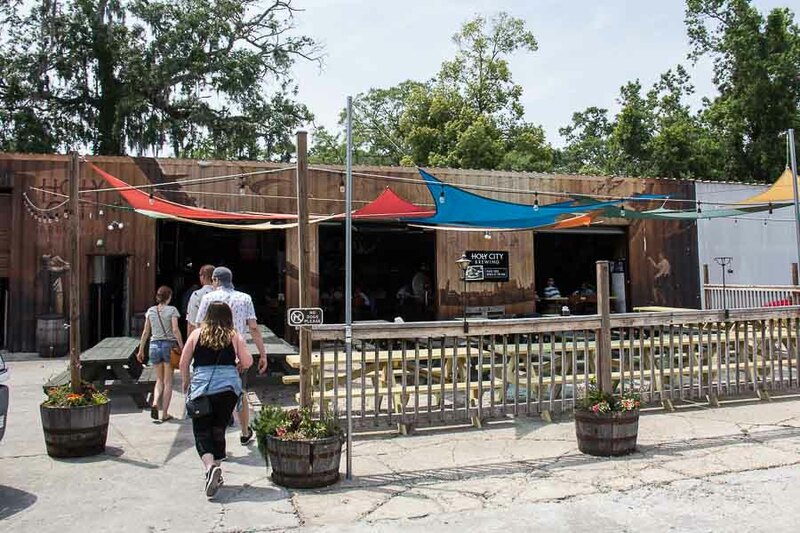 It’s now a place where people can come relax, hang out, take a brewery tour, listen to live music or even do Yoga on weekend mornings. So fun! 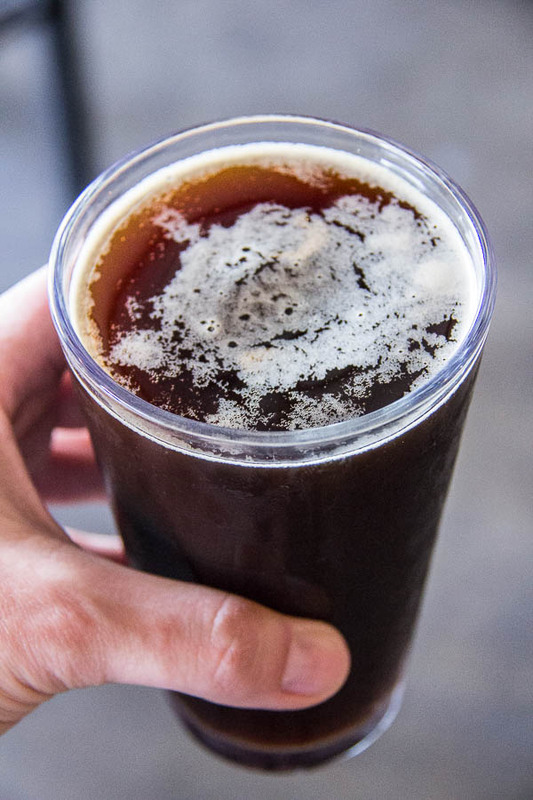 Beers change seasonally, so you’ll never know what fun beer adventure you may get when you go. For a full line-up of what they brew, click here. I love the names they have for their beers. Can’t wait to try, “Notorious P.I.G”, “Smoke Break” and “SUP, Baby”. 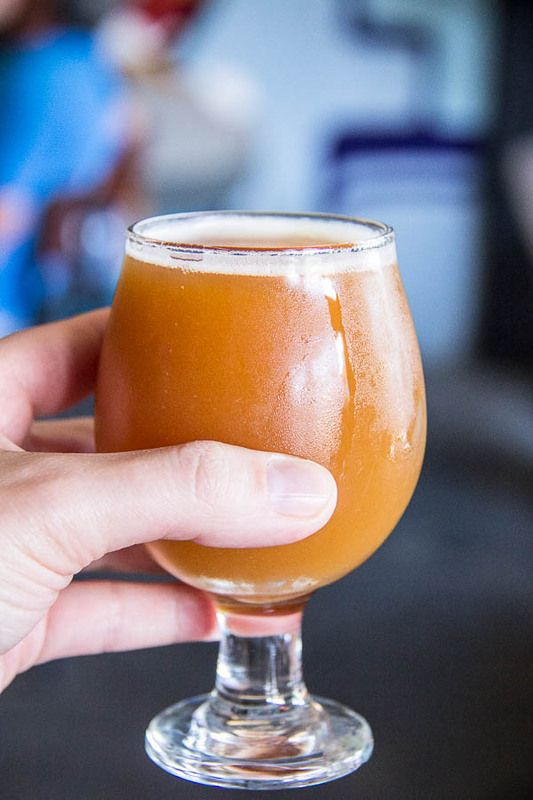 Let us know what you drank and any other fun you have when you hit Charleston. Be sure to tell those HCB boys “Cheers” from the Sumptuous Living Ladies! Make sure to pick up a shirt or a hat. They have some super cute stuff in their shop! Wish I had grabbed a T-shirt while I was there… Next trip!